Since then, in more than half a dozen update releases, Pixelmator's progress has been steadily progressive, with each update an improvement over the previous one. At least until version 1.3.1, which was posted for download on November. I duly downloaded and installed Pixelmator 1.3.1 but soon discovered a serious bug with certain correction tools, such as the Smudge tool refusing to smudge and instead imitating the behavior of the Eraser tool. This obviously would not do. I reinstalled version 1.3, and normal behavior was restored, so I dropped a note to the developers outlining my observations. I didn't hear back from them, but they did release a version 1.3.2 three weeks later, which I've been using for the past several days - happily it works just fine. Pixelmator works so well now that I've been finding myself using it more and more instead of Photoshop Elements 6. Once in a while I'll find that I need one of the several power features that Photoshop has and Pixelmator doesn't, but Pixelmator's virtue of very quick startup - as opposed to the ponderousness of Elements (which is improved in that department with version 6, but still pretty lazy getting going by comparison) - and has a lithe, nimble feel to it that I find agreeable. I've also gotten used to and grown to like Pixelmator's visually-arresting user interface, which has received some improvements with version 1.3 that I'll get to in a moment. It's definitely the prettiest image editing application I've ever used, and it's really no hardship to work with software that's easy on the eyes in addition to getting the job done efficiently. The first thing that impresses you about Pixelmator is that it starts up very quickly, taking just six seconds even on my elderly 1.33 GHz G4 PowerBook (Photoshop Elements 6? Go make coffee - well, actually about 35 seconds). The second thing that strikes you if you're new to the program, or even if you're not, is that Pixelmator's user interface is drop-dead gorgeous. Stunning, really. Document and tool-palette windows are bordered in transparent black. Speaking of tools, along with the standard complement you'd expect, I especially like Pixelmator's Curves tool - the most intuitive and and slickest I've ever used for adjusting tonal range or making precise adjustments to individual color channels in an image. 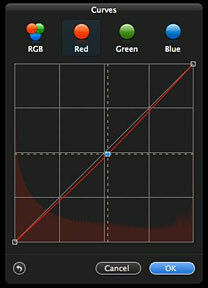 There is also a very cool Color Balance tool for controlling the overall color mixture in an image if you're doing color correction work with real time adjustments that can be applied separately to highlights, midtones, and shadows. Pixelmator's Auto Enhance tool can optimize less-than-perfect images with a single click, convenient if you're in a hurry and likely to be popular with new or casual users. It works quite well, pretty much on par with the equivalent tool in Photoshop Elements, but when I have the time I prefer to tweak my images with more precisely nuanced correction tools. I do continue to miss Elements' Lighting and Shadows adjustment panel, especially the lighten shadows/darken highlights controls, but Pixelmator's exposure adjustment control compensates, and is less complex to use. The PSE Spot Healing tools are also conspicuous by their absence, however, and one of the things I miss most using Pixelmator. The Clone Stamp Tool partly compensates, but it's a lot clunkier solution than the PSE (Photoshop Elements) pair, and the stamp-shaped cursor is nowhere nearly precise enough for close work to suit me. On the other hand, a really cool Pixelmator wrinkle is that the currently-selected tool's icon gets magnified in the tool palette, and the icons are strikingly attractive. On the downside, I really dislike having to switch to a Move Tool from a Marquee Tool in order to move something around. I much prefer to be able to select and option-drag. The power and sophistication of your Mac's graphics support will be a significant factor in Pixelmator's liveliness and responsiveness on your Mac. Touted as "the World's First GPU-Powered Image Editor", Pixelmator relies heavily on OS X's Core Image technology that uses your Mac's video accelerator for image processing, freeing the CPU for other tasks. And if you have a high-performance GPU with a lot of video RAM, you should find real-time responsiveness across a wide variety of Pixelmator operations enhanced substantially. In addition to Core Image, Pixelmator harnesses the power of Mac OS X's Open GL, Automator, ColorSync, Spotlight, and many other technologies. Pixelmator was built exclusively for Mac OS X, and it shows. Pixelmator supports over 100 different file formats, and it can open and save Photoshop files with layers intact. Pixelmator is getting better and better (discounting that version 1.3.1 hiccup) with each revision. Pixelmator 1.3.x, which is code-named "Tempo", is claimed to deliver performance gains in almost every function of the application. Taking even greater advantage of Core Image, OpenGL, especially noticeable when working with large images, opening and saving, using filters and adjustments. I love its quick startup and its less complex and less ponderous interface than Photoshop Elements, although PSE still has a significant power, features, and versatility edge. New in Pixelmator 1.3.x are a new click-and-drag approach in Magic Wand for selecting, Paint Bucket for filling, or Magic Eraser for removing unwanted backgrounds allows the user to drag the mouse with instant results when working with these tools. This works so slickly, it'll make you smile. Expect to be impressed. Pixelmator 1.3's Hue and Saturation, Colorize, and Replace Color adjustment tools have also been redesigned, now featuring a color wheel with color buttons nearby. The Hue and Saturation tool can also edit different ranges of colors, while Replace Color now features a new Radius preview slider showing a black-and-white preview of how much of the selected color will be changed. The Smart Palette Hide feature solves the problem of palette clutter when one uses adjustment tools or filters in Pixelmator, making all unnecessary palettes temporarily dissolve when any of the adjustment tools or filters are in play, allowing you to focus on only one image and chosen tool. Pixelmator is layer-based, allowing you to link and arrange added layers, blend layers, change their opacity, create clipping masks, or even add layer masks to hide some portions of layer. 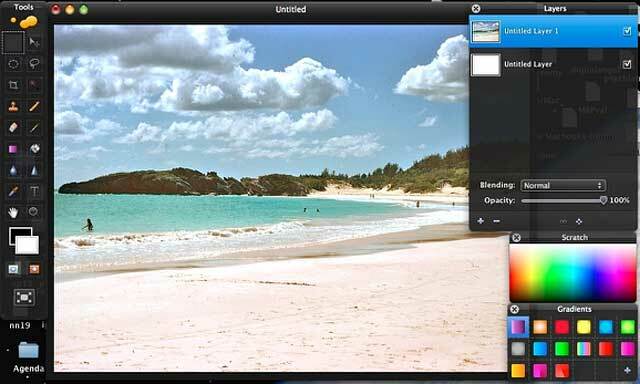 You can quickly create layers from photos, other pictures, from selections, or even from iSight. Other new and improved features in Pixelmator 1.3.2 include improved Type tool, Stroke, an Action Tooltips feature, minor user interface and compatibility improvements, Spanish and French languages, and some bugfixes. 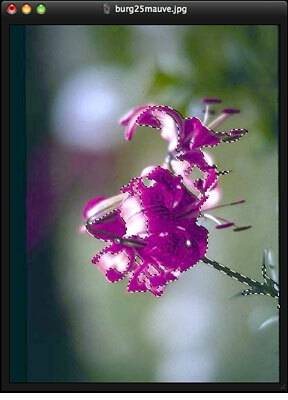 Pixelmator 1.3.2 requires Mac OS X 10.5.5 or later and a graphics processor that support Core Image. It is available for US$59. Pixelmator 1.3.2 is a free update to current Pixelmator customers. a 30-day Pixelmator trial and more information on Pixelmator can be found at their website. Pixelmator's star rating keeps climbing, and I'm ready to give it a 3.5 out of 4.